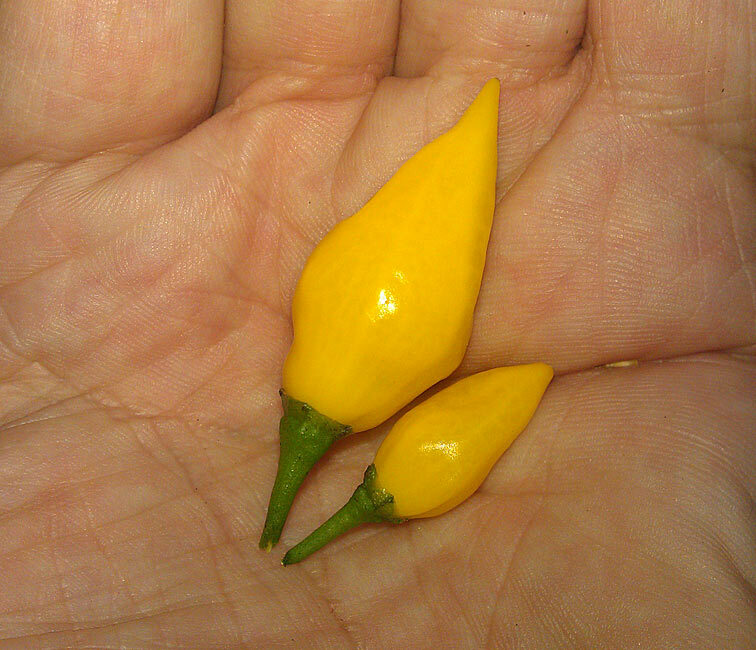 ← Third and final harvest of Habanero Lemon. 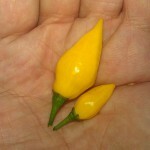 Then I got a lot of Habanero Lemon over so I shared with me on Facebook group to those who wanted to sample. 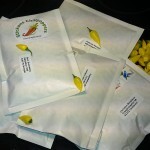 It was no problem to get rid of the fruits, they were more interested in than what I had fruit left to send. 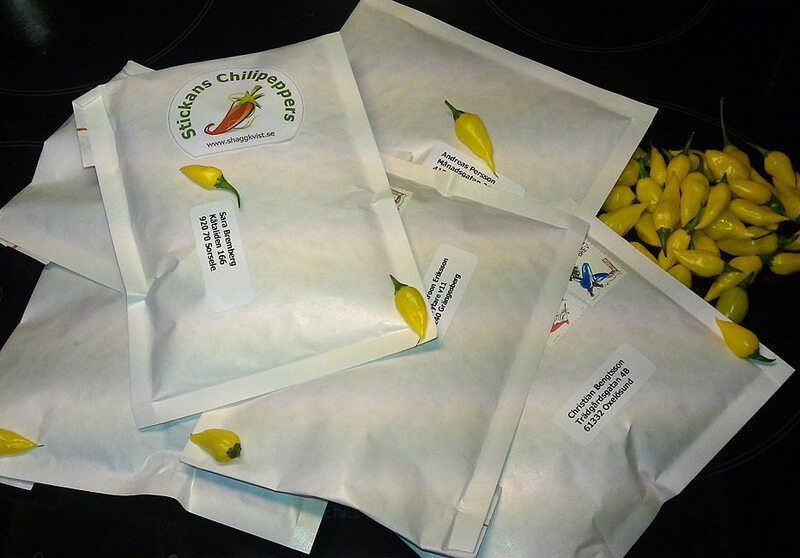 Perhaps we should start “Chili Peppers By Post” It might be a good business idea? 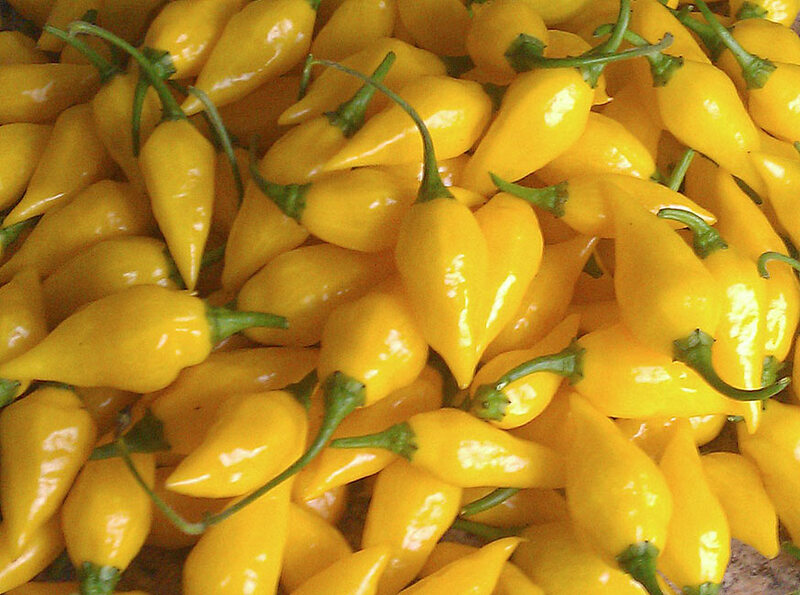 It's nothing to get rich on but one can always delighting others with fresh chillies that are not available to buy in the usual trade. 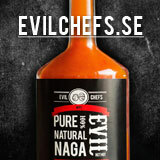 What do you think of this business concept? 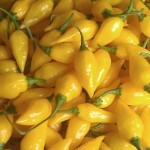 Would you be interested in buying rare, flavorful, hot chillies and have them in your mailbox?